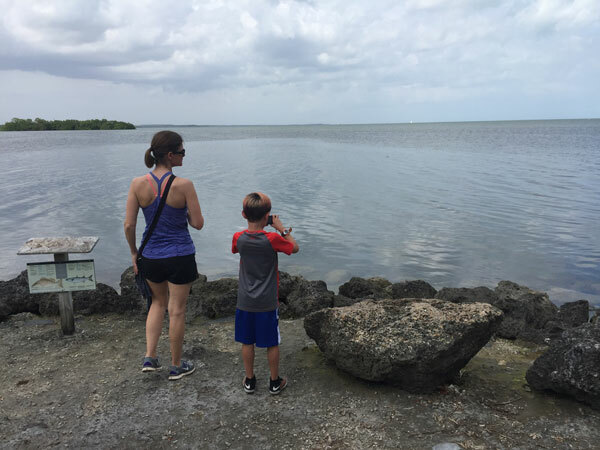 As part of our family’s trip this week to the National Parks of Southern Florida, we visited Biscayne National Park. 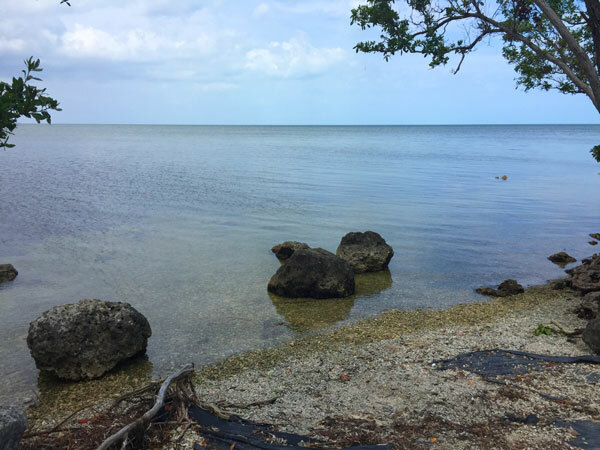 Biscayne National Park is a very unique site within the National Park system because out of its 172,971 acres, 95% of it is underwater. They say to truly appreciate this National Park, you need to get into the water. But we only had a few hours to spend so we decided to visit Convoy Point and the Dante Fascell Visitor Center. 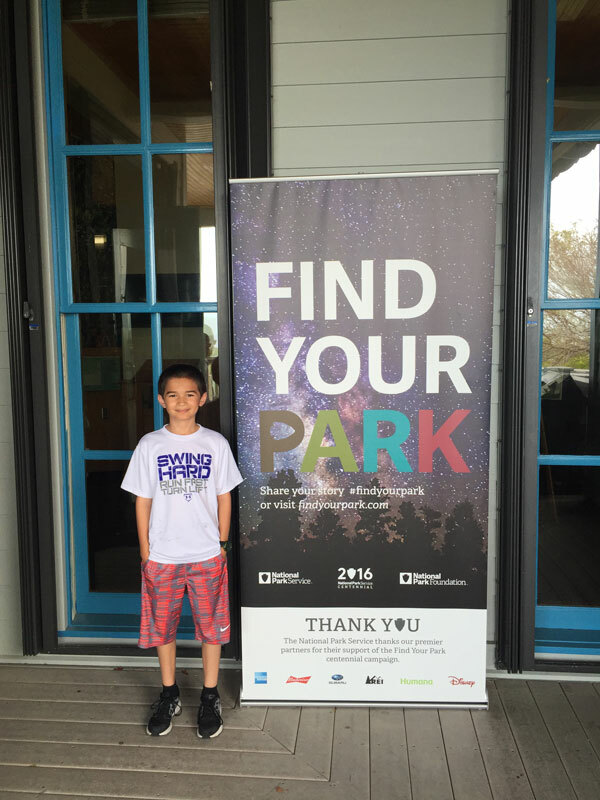 This visitor’s center is a short drive from our hotel—just 9 miles east of Homestead, Florida and it is well worth the trip! The first thing I noticed when visiting the Dante Fascell Visitor Center is their creative entrance filled with metal fish and coral. While most of the signage and displays fit their standard National Park templates, you can tell that the arts are important to this particular park. 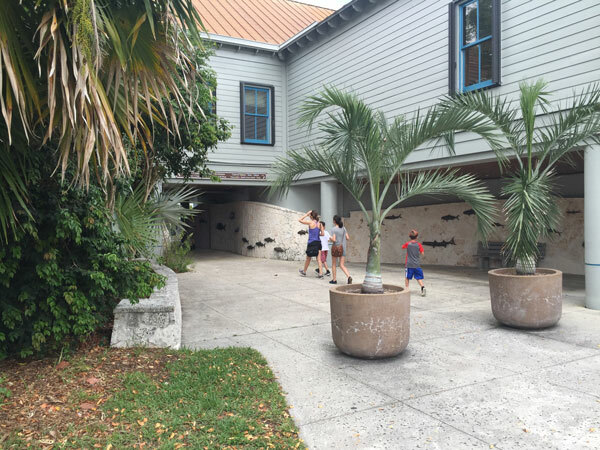 The visitor center features a gallery that displays artist’s work that was inspired by the park. 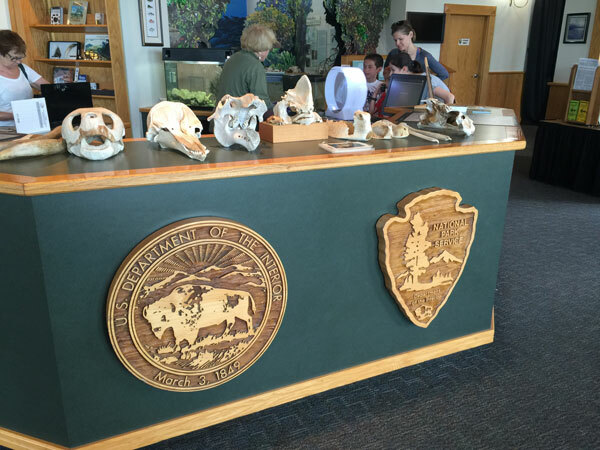 We did not expect much from this visitor center walking in but we were so glad we visited! The main entrance opens up to a dock that houses various ships that can be hired for tours. 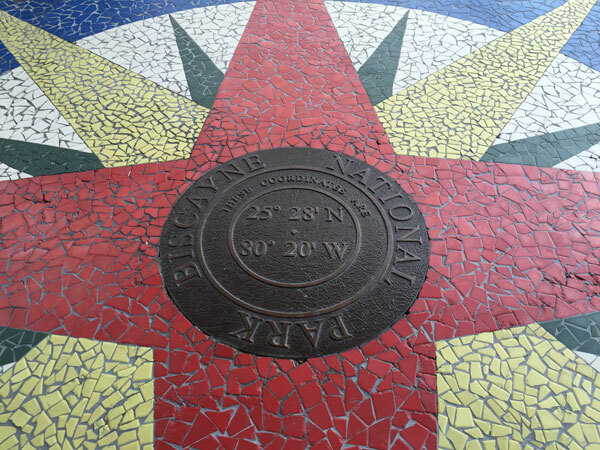 There are many maritime references including this cool compass mosaic and bronze coordinate plaque. 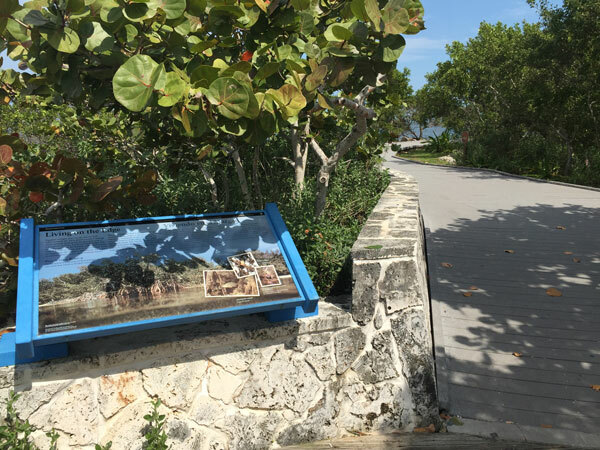 The visitor center also serves as a park along the Biscayne Bay. 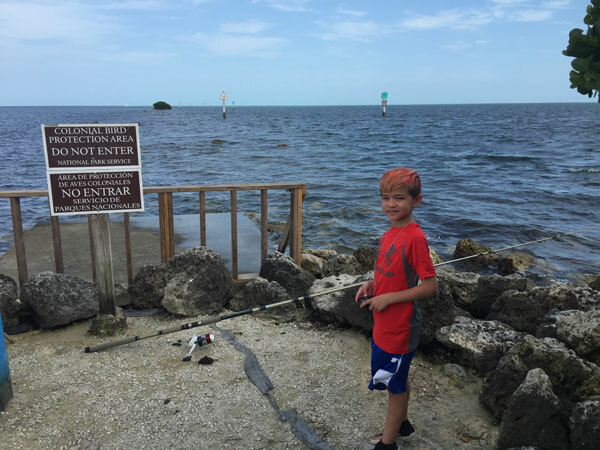 We saw people fishing as well as a family using the grills and having a cookout. The weather was gorgeous and there was a nice breeze coming off the bay water. 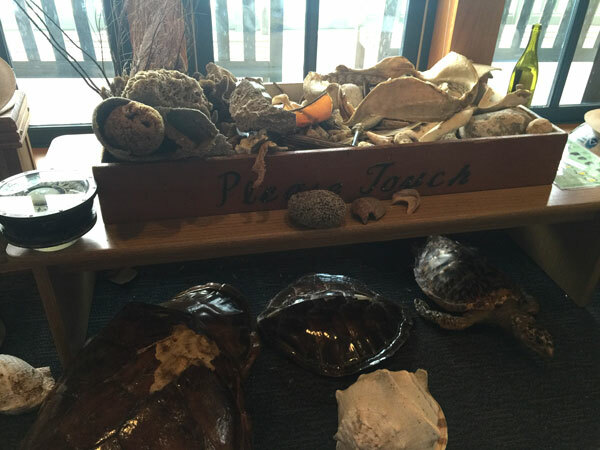 The “Touch Table” is actually a touch section that contains a lot of bones, feathers, sponges, and coral to pick up, feel the textures, and learn about the 4 distinct ecosystems that Biscayne National Park protects. The theatre within the museum is air-conditioned and spacious. 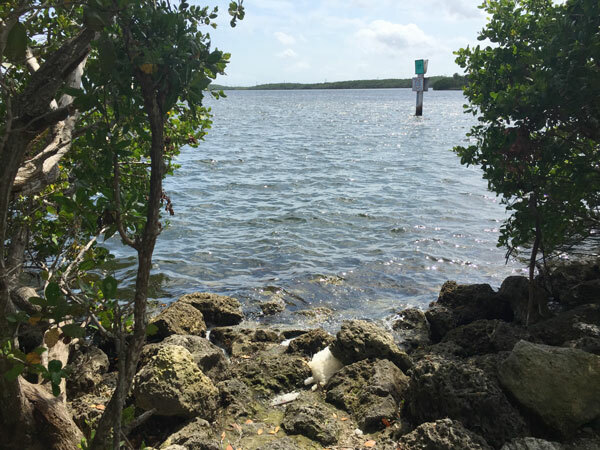 We watched a film called “Connections” that featured the four ecosystems that Biscayne National Park protects. 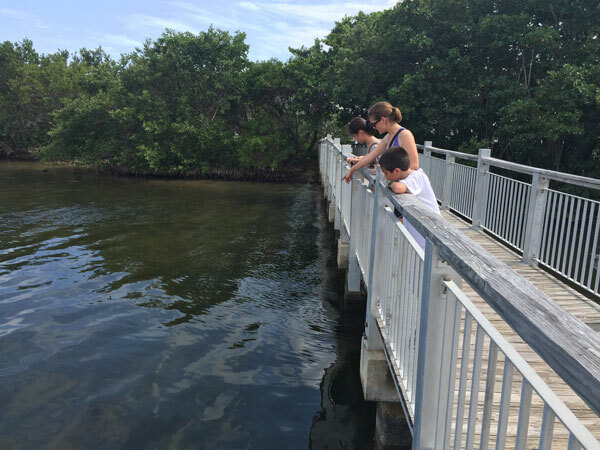 Biscayne National Park protects four distinct ecosystems: the shoreline mangrove swamp, the shallow waters of Biscayne Bay, the coral limestone keys and the offshore Florida Reef. The bookstore is also on the second floor. 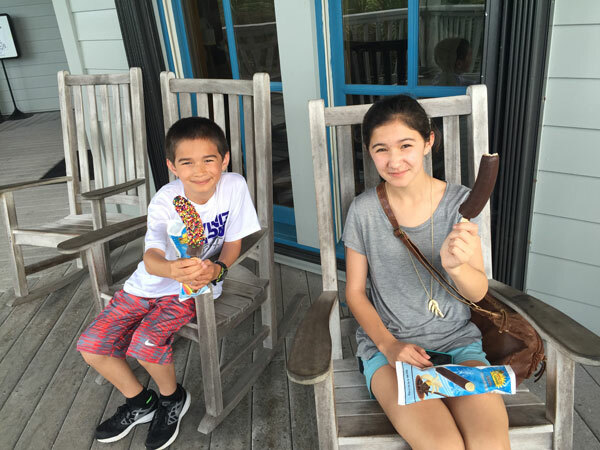 The kids were excited that the bookstore sold chocolate covered frozen bananas! While the museum and theatre was great and informative, the highlight of the visit was the short hike we took on the pedestrian bridge, boardwalk, and onto a jetty! The walkway featured many opportunities to walk out onto the rocks, dip our toes in the water, and take in the scenic views. The water was so tranquil when we were there! The pedestrian bridge was only a short 1/4 mile long connecting Convoy Point with the Jetty. We were able to see some fish in the crystal clear water. The view was so nice out on the jetty. We had fun taking pictures. 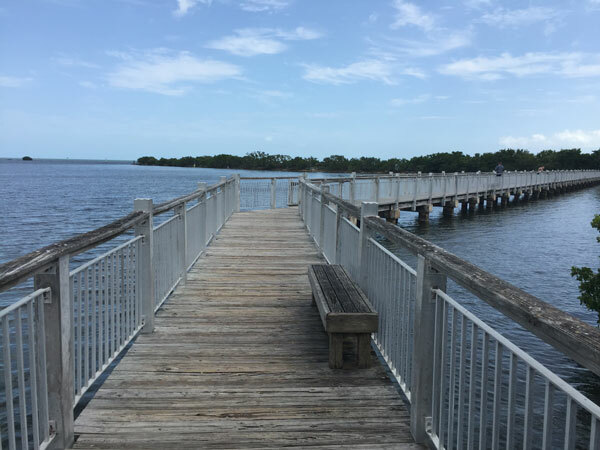 The end of the jetty offered an unobstructed view of the bay. 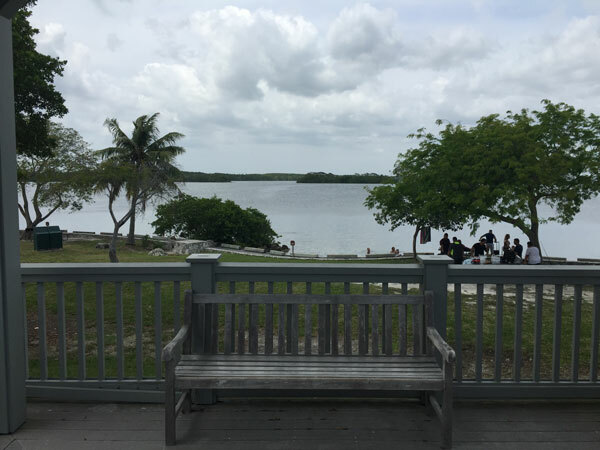 We enjoyed our short trip to Biscayne National Park! 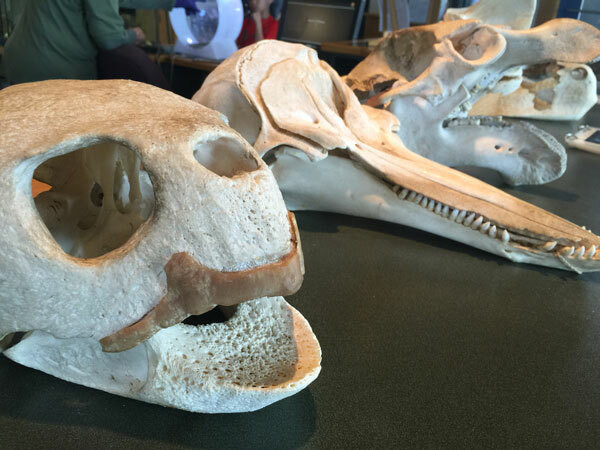 We learned about the many concerns for maintaining the health of these 4 ecosystems. We also took in some great views! 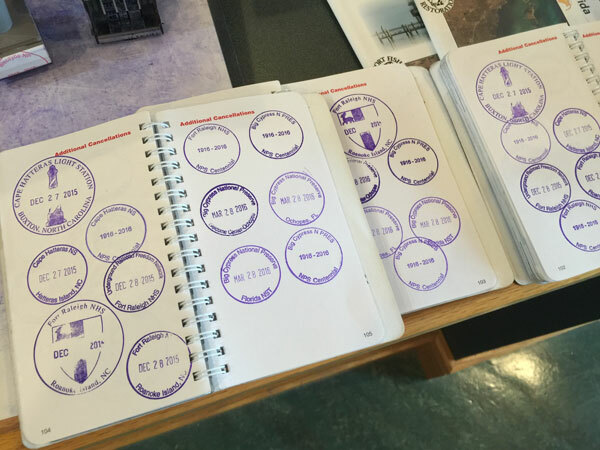 Our passport stamp at the visitor center marks our 57th National park site visited as a family. We are maintaining a good pace towards our goal of 100 parks! 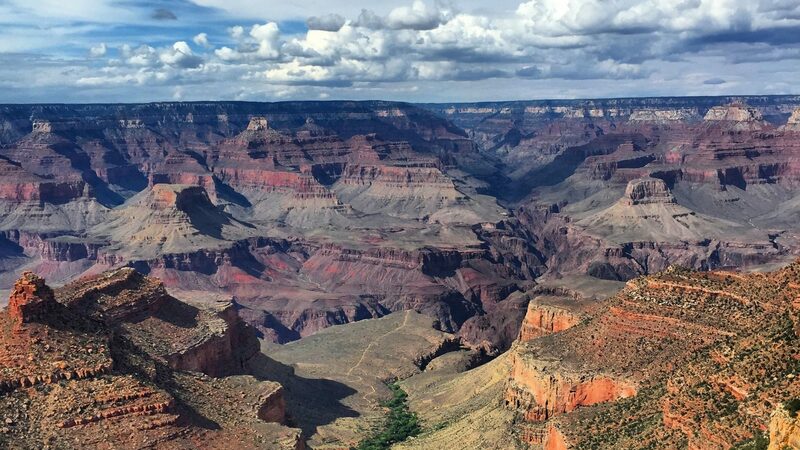 – The National Park Passport Cancellation Stamp location is at the Visitor Center main desk NOT the bookstore. 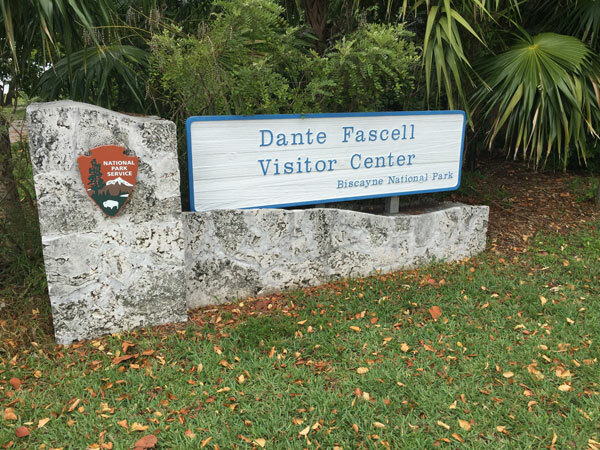 – Boat tours, snorkeling tours, and sailing boats leave from the Dante Fascell Visitor Center. Click here for more information including times and prices. 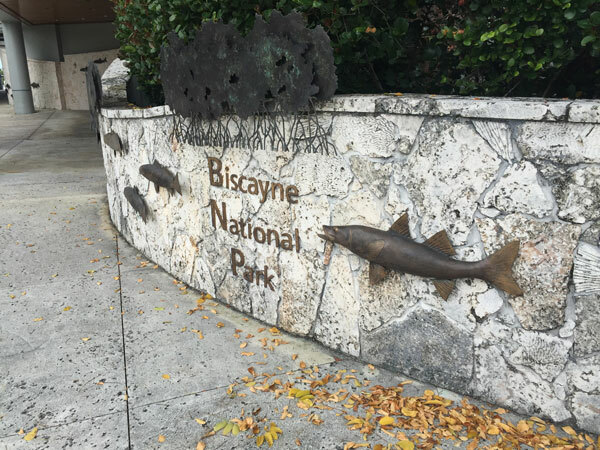 Have you visited Biscayne National Park? If so, leave your experience in the comments!